I have a confession. I’ve probably been to this bakery over 5 times in the past 2 months. Which is quite a bit. Especially when you’re stuffing your face with rich, buttery pastries everytime. However, I still have yet to tire of the delightful B. Patisserie. The first time I came, it was rather magical. I arrived at the somewhat ungodly hour of 8:15am on Saturday morning (which is when I’m normally fast asleep, wrapped soundly up in my sheets). 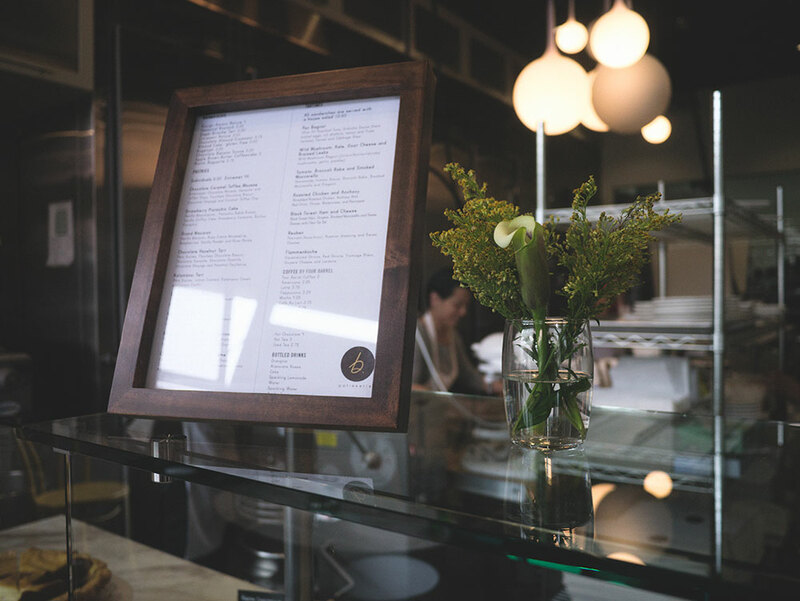 The sun had just begun to peek out of the clouds, and the patisserie was completely empty of anyone but the employees. It was perfect. Without having the pressure of people waiting for me to choose what I wanted, I took my time scouring alllllll the pastries. SO MANY TO CHOOSE FROM! I looked at each and every one of them, taking in every detail, asking the employees what’s this and what’s that. Let’s just hope that my enthusiasm was endearing. So now to the important stuff, what to get?! 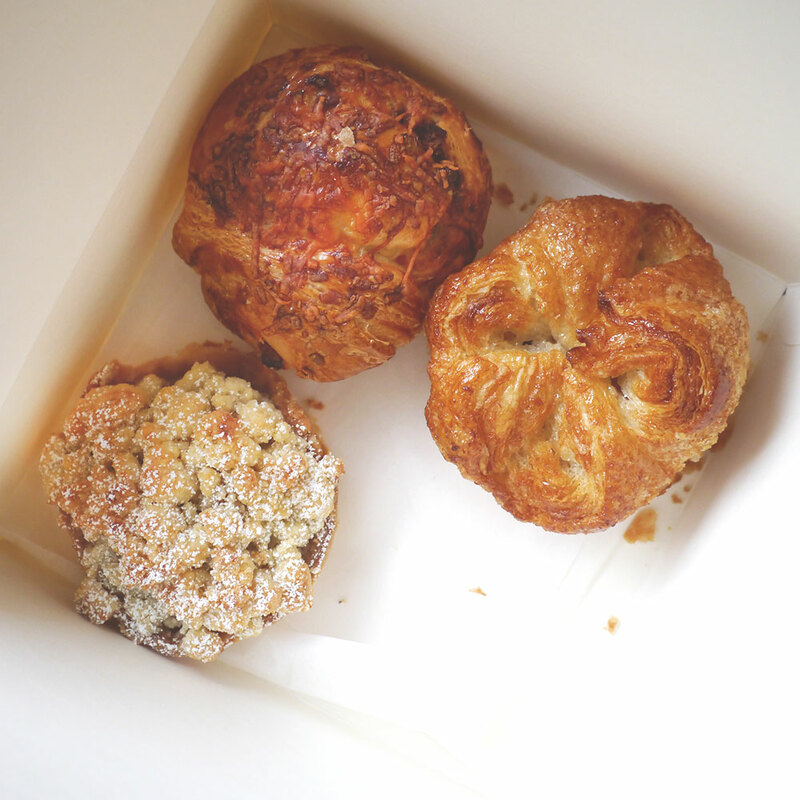 The kouign amann of course (one on the right), which is what Belinda Leong is famous for. Besides that, I looooved the cheese gougere and chocolate banana croissant. 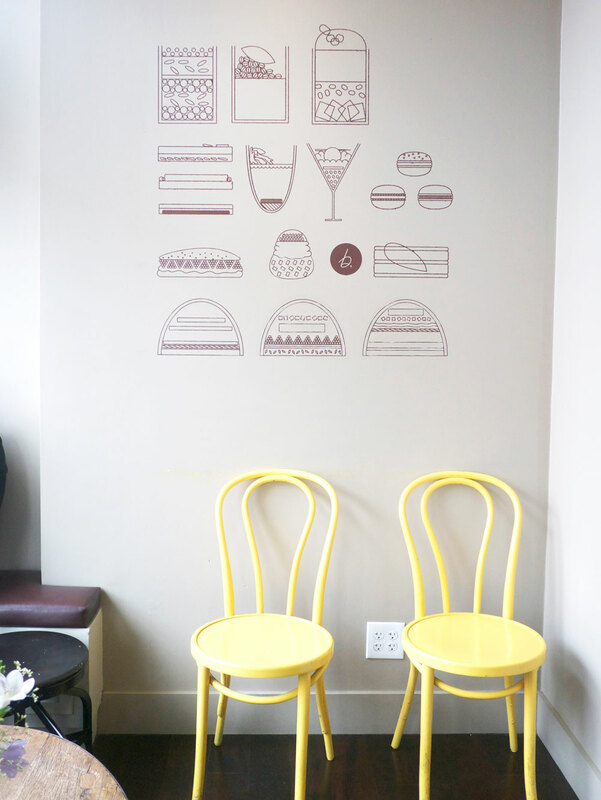 I also love the sweet little decor details, like these sunny yellow chairs and whimsical drawings. 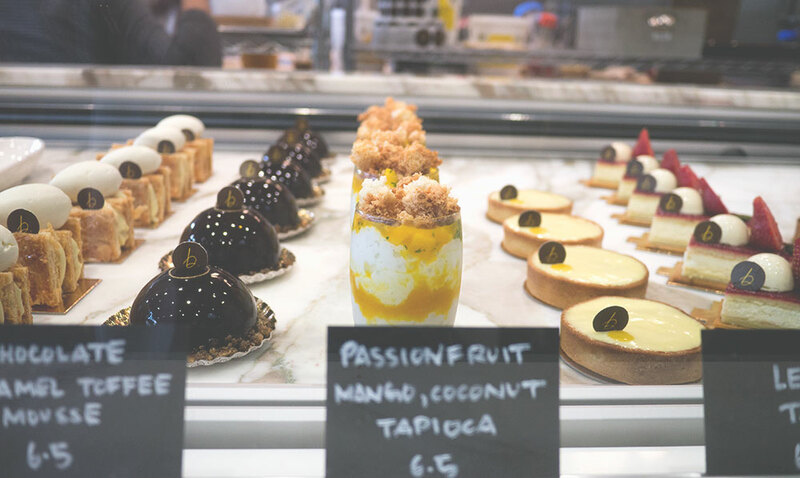 I’m not going to lie– I’ve also created a B. Patisserie cult following. After my constant raving and bringing pastries back, I’ve slowly but surely converted my friends into B. Patisserie fans. 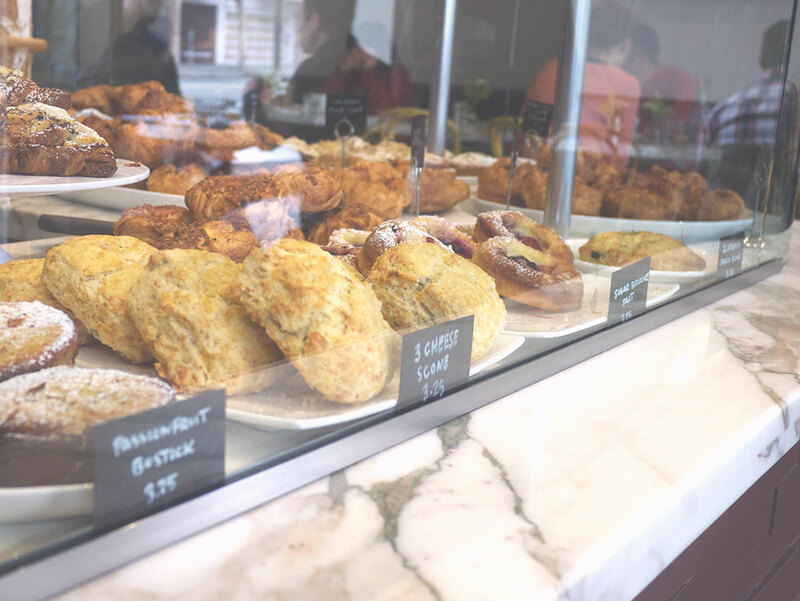 Can I get paid in pastries, please? oooh looks sooo delicious! love your photos.. and the “office” gif!